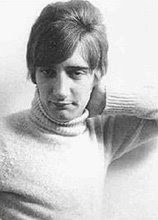 Rod (the Mod) Stewart got his lucky break at nineteen years old when he was invited to join Long John Baldry's Hoochie Coochie Men formed from the R&B All Stars just before their leader, Cyril Davies, died. The story goes that Baldry, who had seen Rod playing harp for the Dimensions at Ken Colyer's club in London's Oxford Street, found Rod the worse for drink on Twickenham railway station and it was there that he asked him to join his band. During the journey to Waterloo station Long John explained that he was thinking of breaking up the All Stars and forming a new band. At Waterloo, Rod took the tube back to Highgate telling himself that this might be the sort of break he'd been waiting for. It was a couple of days later he heard the unexpected news that Cyril Davies was dead. Baldry kept his promise and contacted Rod with an offer of work and just weeks later he was on stage in his first professional band! Rod was the second vocalist and Baldry looked after his band with the concern of a loving mother. With the Dimensions, Rod's earnings as a musician had been at best sporadic, but with the Hoochie Coochie Men he became a professional on a regular wage of thirty-five pounds a week! He also regularly received individual billings in gig listings such as 'Rod The Mod' and 'The Mod's Delight'. More than often the band would perform at several different shows on the same night and their non-stop gigs would cover the whole country. At the end of 1964, the Hoochie Coochie Men split when Baldry attempted to launch a solo career. At this time, Rod played a few solo gigs backed by a Southampton based band called the Soul Agents. The band made a single called 'Let's Make It Pretty', although Rod did not appear on it. 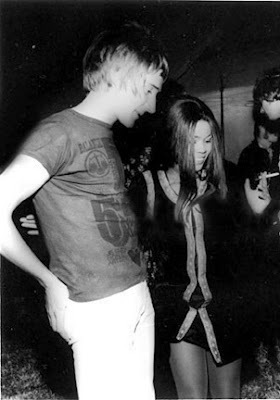 Eventually Rod re-joined Baldry in a more contemporary outfit called Steampacket, which included Julie Driscoll and Brian Auger with Micky Waller on drums. Sadly, as all the members were committed to individual recording contracts at the time, they never released any records, although they did record an album of demos which emerged on the French BYG label just after Rod made it big with Maggie May. At the end of 1965 still touring Britain with Steampacket, Rod made a second solo single, this time for Columbia. The Day Will Come was written by Barry Mason and was blatant pop, but still failed to chart. It was also around this time that ITV screened a documentary titled 'Rod The Mod'. Amongst other things, it featured Steampacket travelling around the country in their little van on their way to gigs and Rod on the football pitch!